Whether it is a fire or medical emergency it is our volunteer personnel responding to the aid of others that make a difference. You can make a difference by becoming a volunteer with the North Mason Regional Fire Authority. Our volunteers play a vital role in the Authority’s pursuit of providing lifesaving actions when seconds count and reducing emergency response times. Our volunteers are provided with numerous benefits and options for giving of their time. Not only do they have the opportunity to assist on actual emergency calls but they are provided with a wide array of training opportunities at no cost to them. Our volunteers also participate in various community events in our area such as pancake feeds, Tahuya Day, Santa Sleigh, Safety Days at our local schools and the Taste of Hood Canal to name a few. Being a volunteer for the Fire Authority is a rewarding experience. The following video was made by volunteers Amber and Micah Coolidge featuring inspirational testimonials from some of the members of the Fire Authority. Being a Volunteer Firefighter/EMT is a competitive and challenging position. It requires a strong commitment towards education, training, perseverance, and helping the community. We are looking for professionals that are dedicated, resilient, have strong customer service skills and who are willing and ready to assist people and protect lives. The Student Firefighter is designed for individuals who aspire to be a career firefighter or paramedic. Training, responsibilities and benefits are similar to a Community Volunteer Firefighter/EMT. These positions are highly coveted and competitively selected as the Authority maintains only ten positions for Student Firefighters. Volunteers make a minimum two-year commitment and provides training that is comparable to higher education, learning at local technical colleges. Student Resident Volunteers work side by side with career firefighters and paramedics to learn skills and abilities to obtain a job in the Fire Service. To date, over half of the Authority’s career personnel have been hired from the Authorities student firefighter program. Student Resident Volunteers receive a monthly stipend to assist with expenses. Student Resident Volunteers are assigned a shift and work alongside the staff assigned to that shift. Shifts are 48 hours on and 96 hours off. All expenses for equipment and training are provided by NMRFA. The Community Response Team (CRT) program is based on the philosophy of “neighbors helping neighbors”. It is designed for individuals who want to help their community and neighbors during an emergency but do not wish to fight fires or engage in intense training. They are trained in First Aid and CPR, Disaster Response, and Incident Command. CRT members do not extinguish fires, but instead they support the Firefighters and Paramedics. The initial CRT training is limited to 50 hours and is conducted in the evenings, on a schedule that is convenient. Ongoing training occurs monthly for two hours. All training and response equipment is provided by the NMRFA. The Wildland Firefighter volunteer program enlists the assistance of recently graduated North Mason High School Students and young adults in the North Mason community who are interested in serving on wildland fire deployments throughout Washington State. 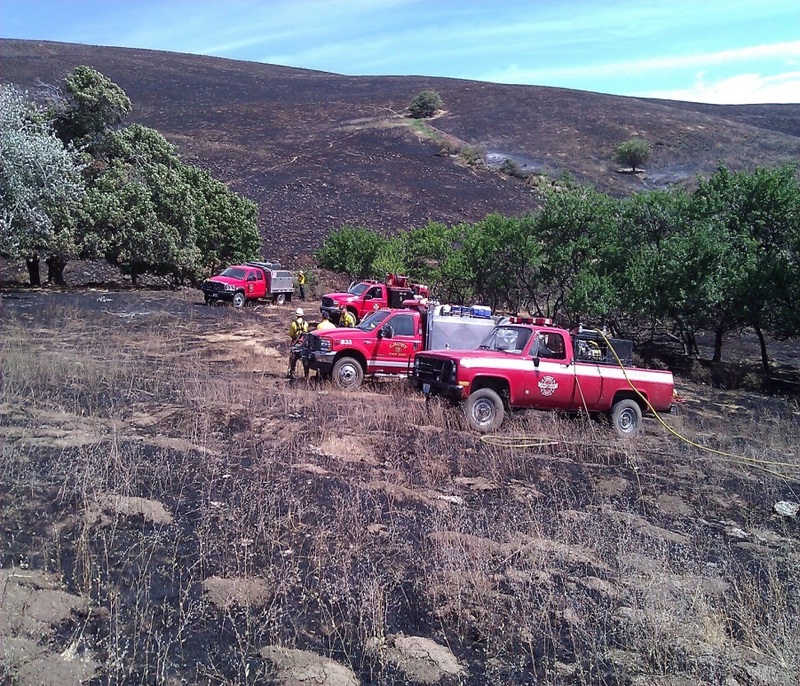 They serve a six month seasonal term that corresponds with the wildland fire season. Each February the Authority selects four volunteers/students to enroll in the wildland fire volunteer program. Selected volunteers/students receive basic wildland firefighter training and certification during the months of April and May. Initial training is forty (40) hours in duration, and is held in the evenings and on weekends. Training times are built around school attendance requirements. Participating students must display satisfactory academic standing as determined by a minimum grade point average of 2.5 at the high school in order to be considered for the program. Students must be 18 years of age as of July 15th, 2016. Following the initial certification program, participants are outfitted with protective equipment and are required to participate in two to three advanced wildland fire training activities. Training is held on Saturdays. Advanced training continues throughout the summer until fire deployment requests are made to the Authority by Washington State. Volunteer program participants are required to deploy to wildfires as needed in order to receive program benefits. Students enrolled in the program receive a $500 per month stipend cost reimbursement for the months of June, July and August. This stipend is in addition to any pay received from the State of Washington for work performed during a wildland fire deployment. The state currently pays firefighters $14 per hour for work performed on a state wildland fire. Students who satisfactorily complete the program’s requirements also receive a $2,000 tuition assistance allowance that may be used at any institution of higher learning. Tuition assistance cannot be substituted for a cash payout. When program participants are not on deployment, they are classified as volunteer fire personnel with the Authority. As volunteer personnel, they receive accident and injury coverage from the Washington State Board of Volunteer Firefighters. When on deployment, wildland firefighters receive accident/injury coverage from the Washington State Department of Labor and Industries. If you are interested in an exciting life experience opportunity that can help with future education, can help establish a future career and to help can build a unique resume, come join us. Here are some additional videos we think you’ll find interesting.